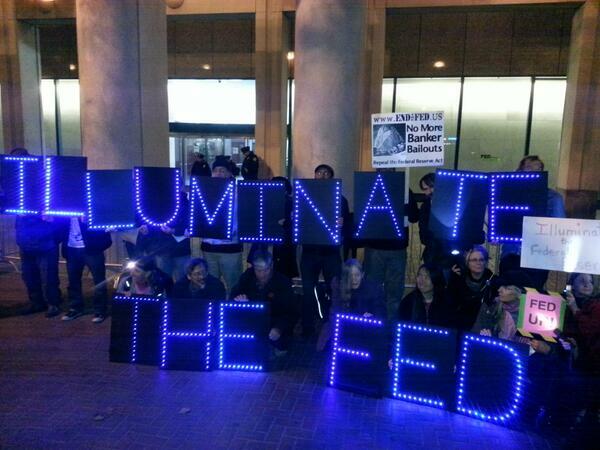 Illuminate The Fed. A Mission Well Accomplished. 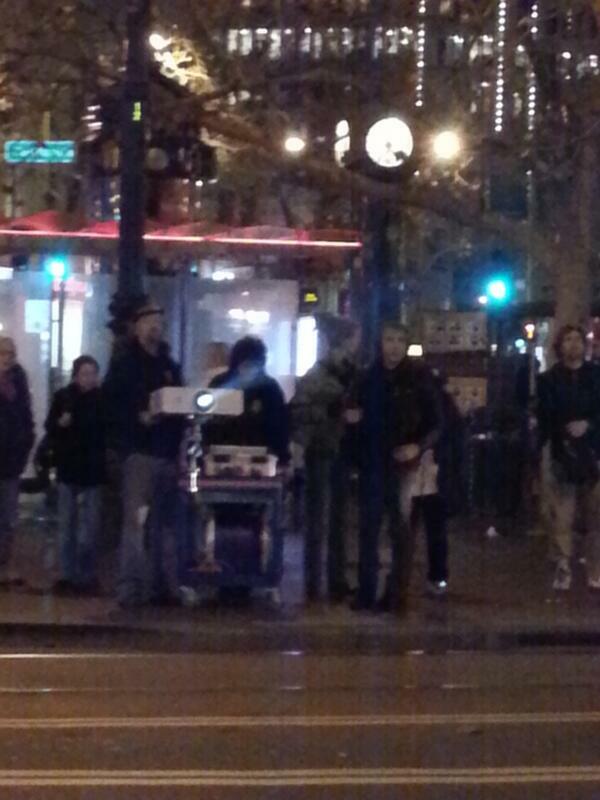 December 23, 2013 at 10:10 pm. Some one hundred people (one for each year the Fed has existed) gathered in front of the Federal Reserve Building on Market St. in San Francisco on December 23rd, 2013. The occasion was the anti-celebration of the 100th birthday of the Federal Reserve – Woodrow Wilson signed the bill that created it one hundred years ago to the day. 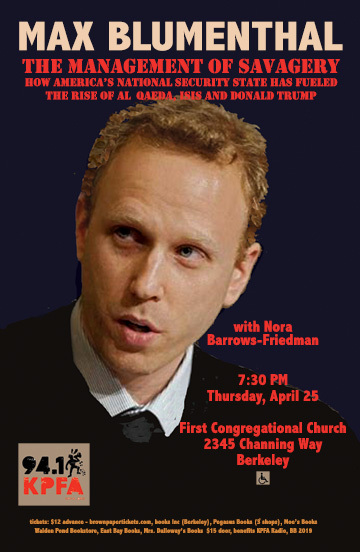 The mission was to “Illuminate The Fed,” educating people about the Federal Reserve – which is not a Federal Agency, yet holds power over the economic vitals of the United States and much of the world. Taking a cue from the Overpass Light Brigade (web page), passersby were made aware with LED lettering. Taking a cue frm the original Illuminator Project out of New York City, San Francisco’s Illuminator crew projected messages about the Fed onto its massive structure and adjacent buildings. Other speakers included a representative from End the Fed San Francisco, the Libertarian Party and the Thrive Movement, all addressing the problems with the Fed and why it should be eliminated after being illuminated. 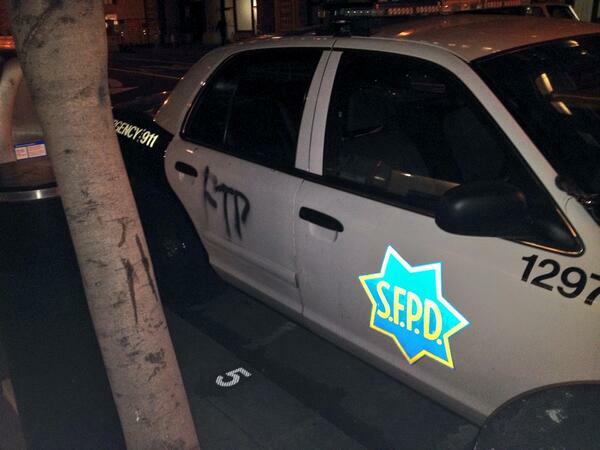 Not illuminating anything were dozens of SFPD officers – but not enough, apparently, to prevent some enterprising graffiti artist to tag one of their vehicles appropriately. They accomplished nothing except the consumption of donuts, coffee and overtime. 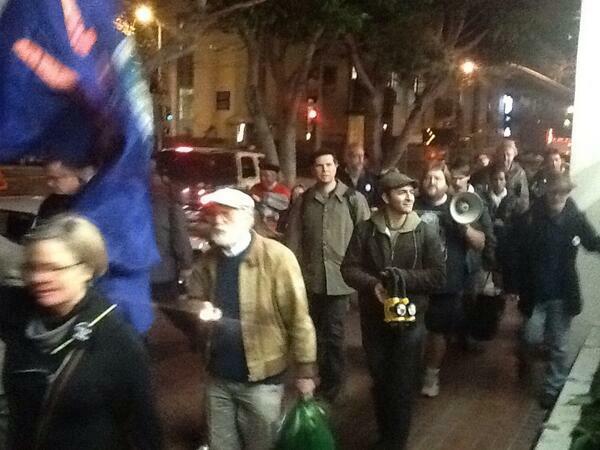 After the illuminating and speaking came the marching. 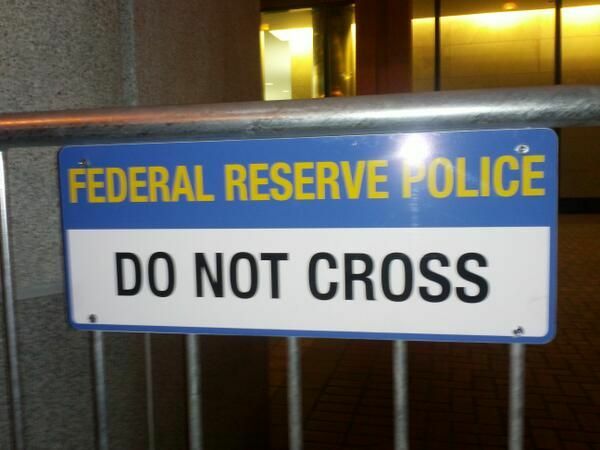 Thrice around the Federal Reserve Building, symbolizing the Biblical march around the Walls of Jericho. Unfortunately, the Fed did not come crashing down.